United States Lines: Early brochure restocked! United States lines: Various ships! 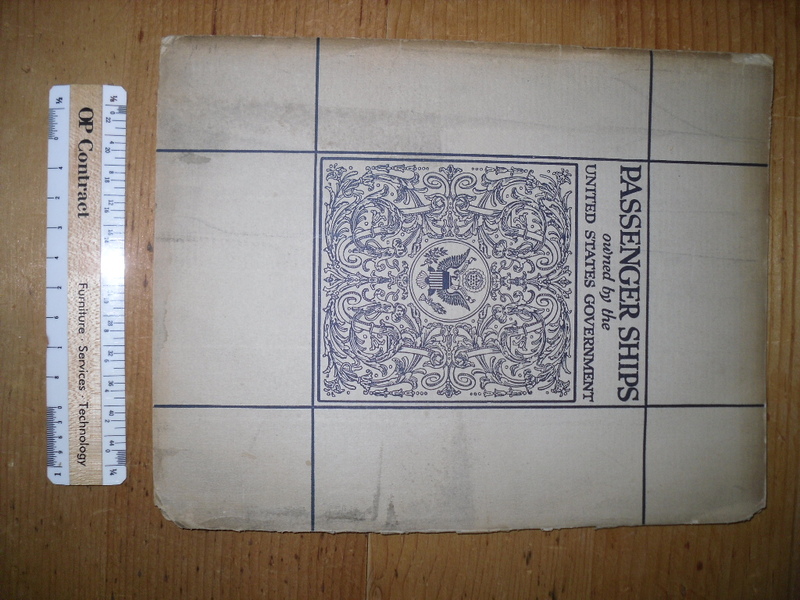 ; a brochure for the ships that eventually would what become the United States Lines. These were all German war prizes ... like Hapag's Valterland, which of course became the Americian Leviathan (WF Gibbs first big project) as well as NDL's Amerika ... which became our America. A real nice brochure with nice photos and a centerfold of the reconditioned Leviathan. Some light chipping to the cover.